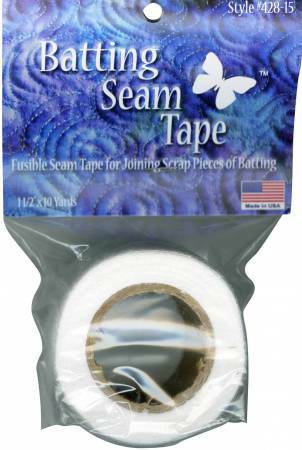 Fusible seam tape 1 1/2in x 10yd package. Designed for joining scrap pieces of batting so nothing goes to waste. Please read important instructions on back of package before use. No more wasted batting!